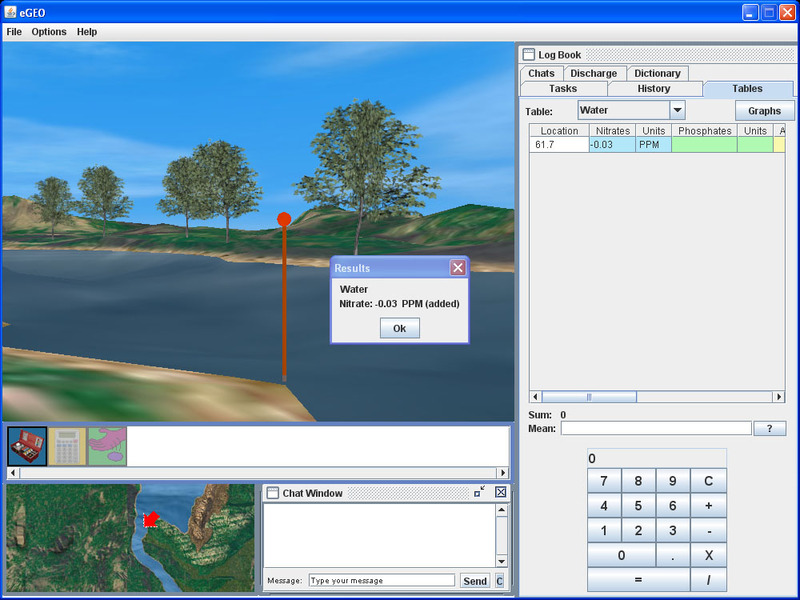 A Quick Start Guide to Geology Explorer 3D. Step 1: Register for an eGEO account. 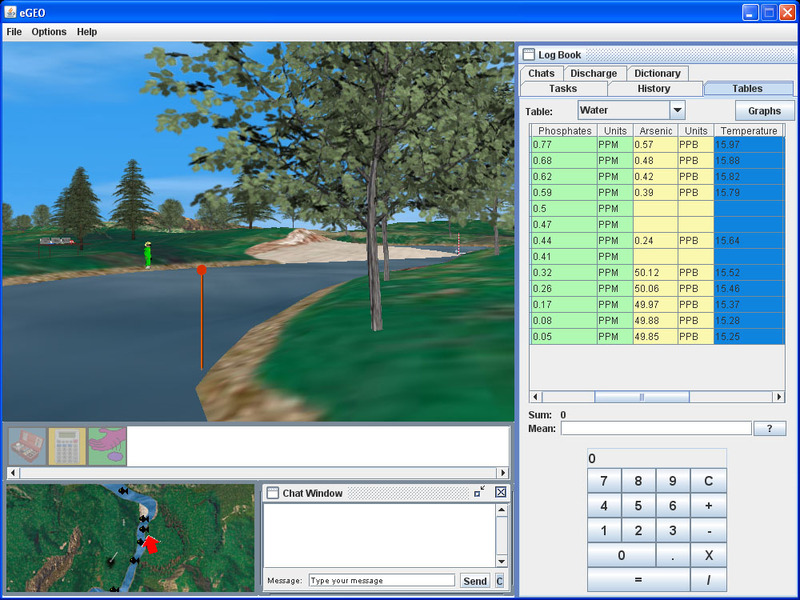 Step 2: Download the Geology Explorer 3D installer. Step 3: Start the Geology Explorer 3D application and log in with the username and password you created when registering in step 1. 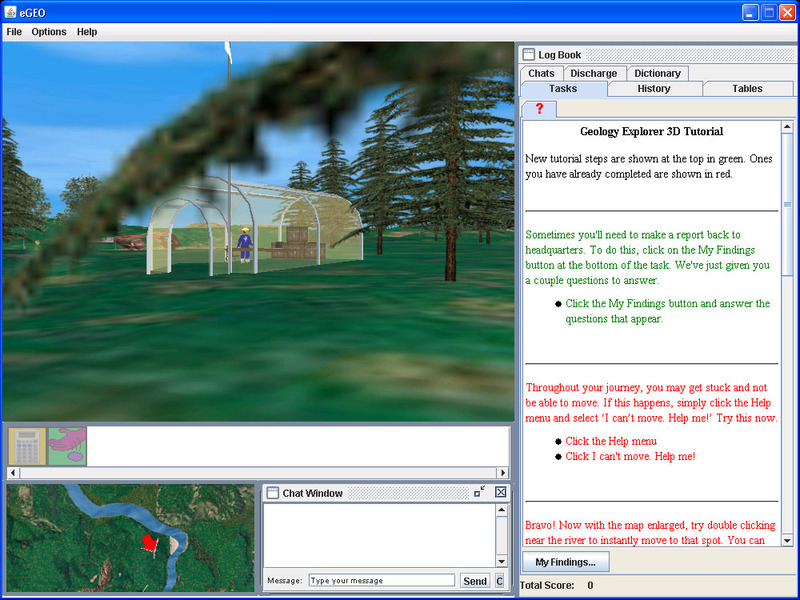 Students enter the Geology Explorer 3D world and begin by taking a short tutorial to become familiar with the interface: how to move around, talk to in-game avatars, perform experiments, and complete in-game assessments. This tutorial then leads them to a series of pretreatment assessments. 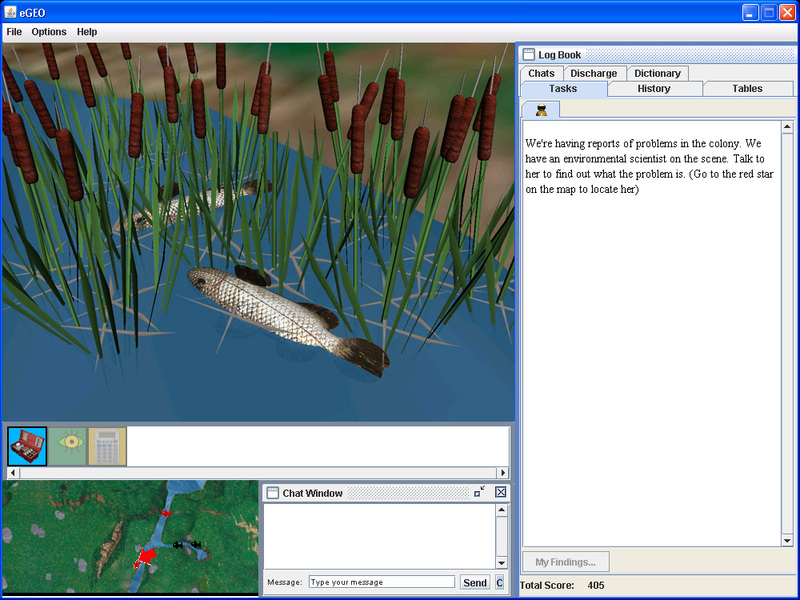 These assessments gauge student content knowledge and attitudes towards earth science, mathematics, and computers. Water quality and testing are the first topics covered in the game. 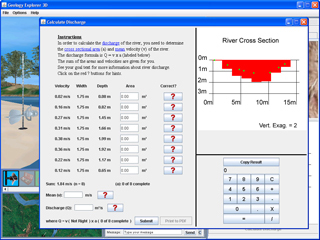 Students are asked to measure a river for levels of nitrates, phosphates, arsenic, and dissolved oxygen. 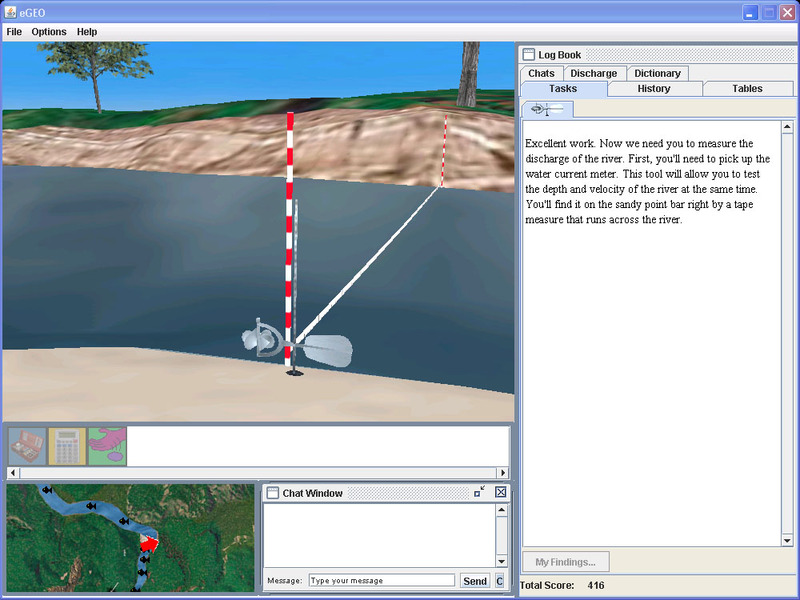 After collecting samples at various points, students fill in a table with their data. 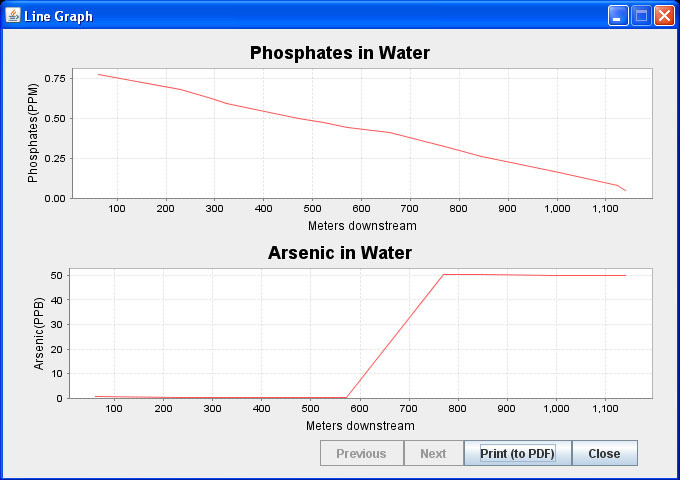 They then analyze the data using line graphs and pinpoint the location of a toxic level of arsenic in the river on their navigational map. 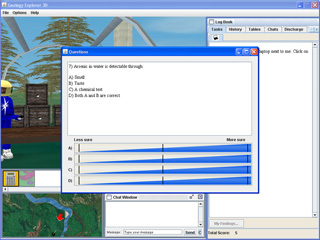 Students then answer a series of formative assessment questions related to the task. 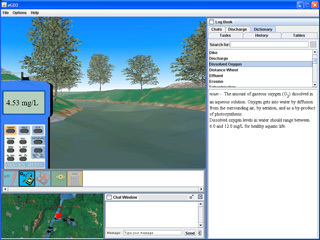 The second primary topic is to determine the discharge of the river. 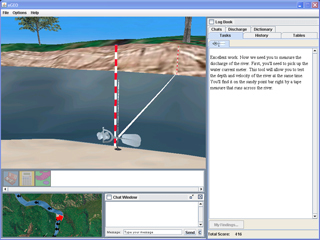 They use a pygmy meter (a device used to measure river depth and velocity simultaneously) to create a cross section of the river. 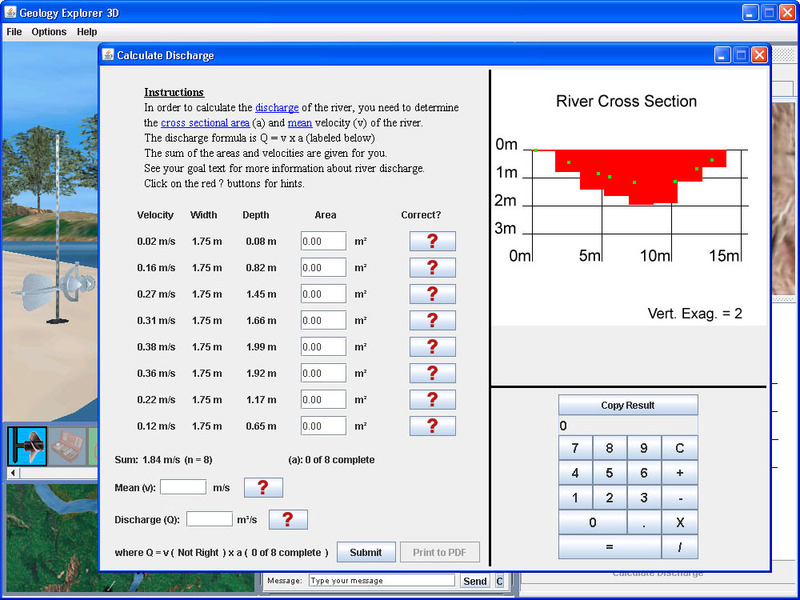 They then combine a lesson on significant figures with the velocity and cross sectional area to determine the discharge of the river. As with the water quality topic, they are asked a series of formative assessment questions related to significant figures upon the completion of the task. In this section, students build on the skills acquired in the Water Quality Testing portion of the game to learn about eutrophication. Students explore the terrain and learn to identify the effects of eutrophication (e.g. fish kills). Students then learn about the causes of eutrophication and use testing equipment like dissolved oxygen meters to determine its source. 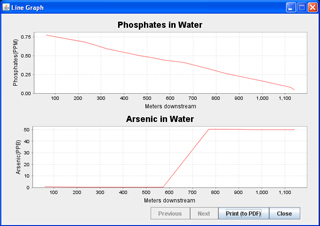 They use graphs of their results to pinpoint possible pollution sources and a series of formative assessment questions on eutrophication concepts completes the section.